ST. JOSEPH — Private education can feel out of reach for women in our community, said College of St. Benedict President Mary Dana Hinton on Monday. But she hopes a $100 million fundraising drive fueling student scholarships will help relieve the financial burden on families. She hopes it will encourage women and girls to see themselves at the college and take advantage of its opportunities. The college’s Illuminating Lives campaign publicly launched in November, and donors have contributed for a couple years to bring in three-quarters of the goal. Fundraisers hope to secure the last $24 million by June 2020. It’s the biggest campaign in the school’s history, with $10 million funding the new Center for Ethical Leadership in Action, meant to help students take internships, research or study-abroad opportunities. “What you don’t want is for a program to only be for wealthy students,” Hinton said. Employers like incoming students to have had two internships, and students sometimes need a stipend to support themselves and their families. Most of the college’s 1,700-plus students receive some kind of scholarship, Hinton said. Like other higher education institutions, Hinton works to defend the value of higher education costs. College spurs economic and social mobility, she said. And college graduates are more civically engaged. The $100 million fundraising efforts is called Illuminating Lives because that’s what education does, Hinton said. “Education really illuminates a path for young people,” she said. It does the same for an engaged community, for strong families and for a thriving democracy. Campaign materials feature students like Laura Barry of Lincoln, Nebraska, who was $2,000 short going into her sophomore year and didn’t think she could return to St. Ben’s, according to the college’s winter 2018 magazine. Barry, who served as president of the school’s Model United Nations, got a $2,000 scholarship to cover her financial gap and later a $500 scholarship to study in Spain, according to the magazine. The new Center for Ethical Leadership in Action helped student Lesly Gonzalez take a summer internship with the Roman Catholic Archdiocese of Minneapolis and St. Paul, according to other campaign materials. “I have always wanted to help, but it was a big sacrifice of time and money to do so,” Gonzalez said. She’s a first-generation college student and a theology and political science major. The center already funded student interns over two summers, said Kathy Hansen, the college’s vice president of institutional advancement. Those students also go through a curriculum on ethics that covers business demeanor and networking. “I think it’s significant that the largest gift that this college has ever seen (the $10 million for the Center for Ethical Leadership in Action), really goes to students to help them experience the whole St. Ben’s experience,” Hansen said. Of the $100 million goal, $25 million is for annual fund scholarships and will be used immediately. And $63 million, including the $10 million for the new center, will go to the school’s endowment. By the end of the fundraising campaign, Hinton hopes the school’s full endowment grows to $100 million, from about $50 million when she took the helm in mid-2014. Beyond the endowment and the quick-turn scholarships, $12 million from the Illuminating Lives campaign is slated for facility improvements. The college has already bought and repurposed monastery buildings from the Sisters of the Order of St. Benedict, including a former horse barn that opened in September as a glass-clad and modern Schoenecker Commons, home of the new admission welcome center and other offices. Renovations are underway in the college’s Main Building. Its top floor reopened as a revamped nursing facility in 2016. The rest of the building is getting a facelift. 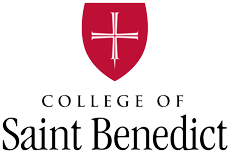 1,755: The number of women who attend the College of St. Benedict. 95 percent: Number of students who receive financial aid. $58,888: Posted cost for tuition, books, and full room and meal plan in 2019-2020 school year. $31,000: The median amount paid by students annually after scholarships and grants. $70 million: Roughly the college’s annual budget. $44 million to $48 million: Amount of the annual budget that goes to student financial aid. $52 million: Total scholarships and grant aid for students this year from the college, government and other sources. $100 million: The full fundraising goal of the Illuminating Lives campaign. $24 million: What remains to be raised in the campaign. $10 million: Part of Illuminating Lives set aside for the Center for Ethical Leadership in Action. $12 million: The part of Illuminating Lives campaign used for facility updates on campus, including renovations of the Main Building.